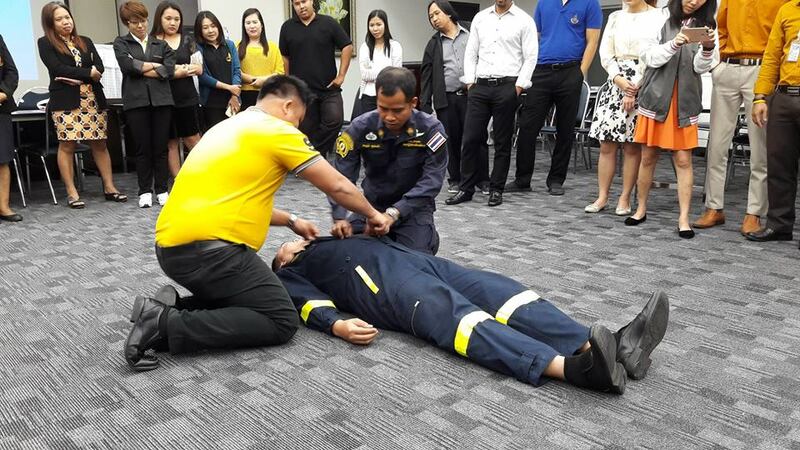 December 18th, 2017 Bureau of General Education and Electronics Educational Innovations attended Cardiopulmonary resuscitation project organized by division of buildings and maintenance, central office, Office of President, 2018. 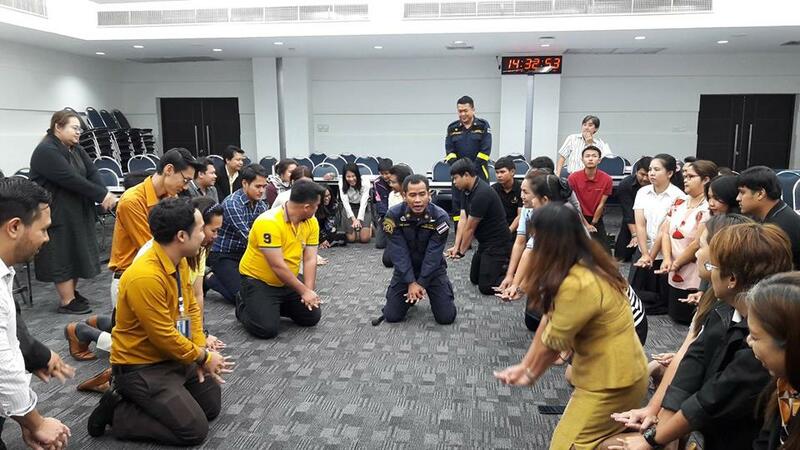 Honored by Mr. Chanchai Sukprajam, disaster prevention and mitigation officer, fire department 3, to be the lecturer. 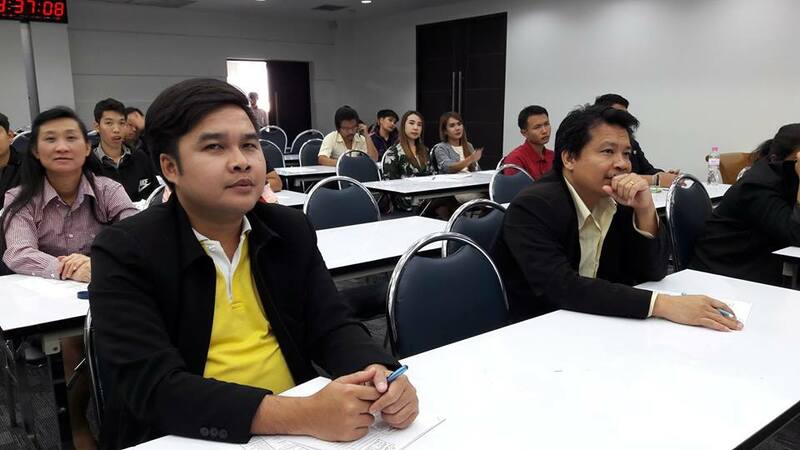 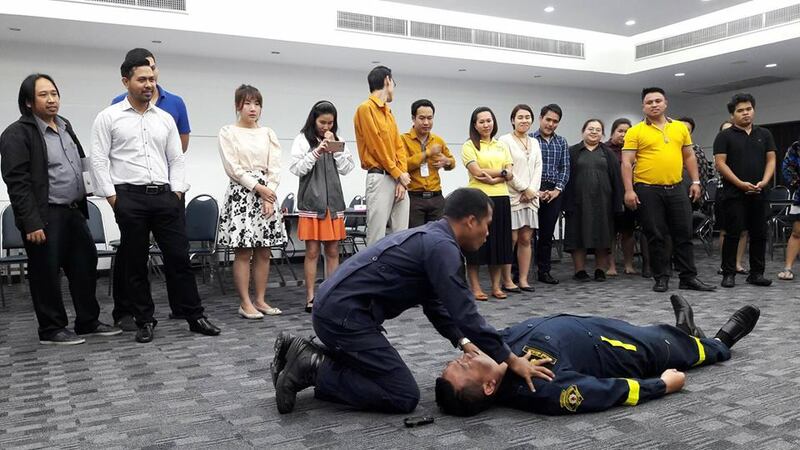 After the theory lecture, attendances were trained to do CPR operation to understand how to provide basic help for accident victims, at Chorkeaw meeting room, building 31, 5th floor.